frankly my dear...: I have a confession. I love local history books. You will often find me in the local library browsing the local history section for something interesting to read. I find these books fascinating - i really enjoy reading about the old days & how people used to live, the roads & homes that sometimes no longer exist - even whole towns that today you wouldn't even now were once there. 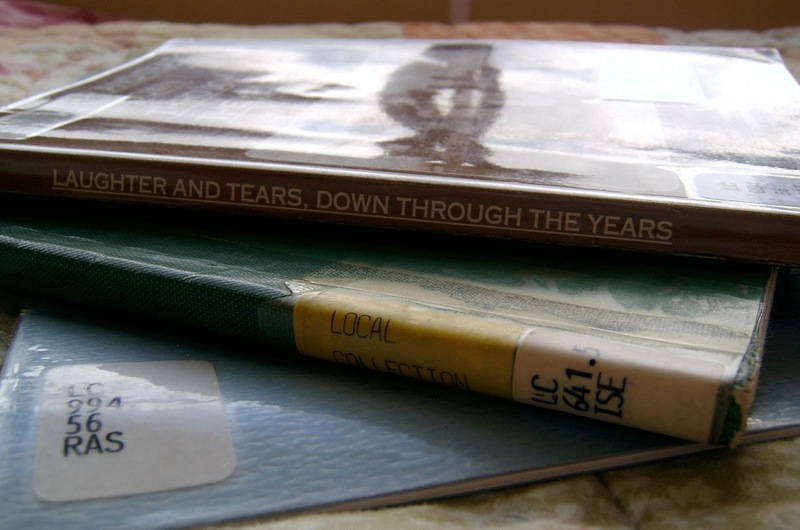 Yesterday i visited a library in a nearby local town, when i discovered their local history section i nearly squealed (then i remembered i was in a library! ), it wasn't just a small section on shelves........there was a little room dedicated to local history! Oh yes i was in heaven & could've quite happily spent hours browsing if it wasn't for a little one year old who doesn't quite share mummy's passion. My personal favourites are people's memoirs, at the moment i am reading this book & i'm really enjoying it. The author grew up in Bairnsdale as one of seventeen children, yep seventeen! Imagine the washing & school lunches her poor mother had to do. They lived in a small two bedroom house, shared beds with siblings & were grateful for a simple orange & a few colouring pencils or book in their christmas stockings. Times have certainly changed. Reading these books makes me realize that even though things were a lot tougher back then - they were definitely a lot more simpler.